Thanks to Karen MacKay from Focus Games for this new guest blog. 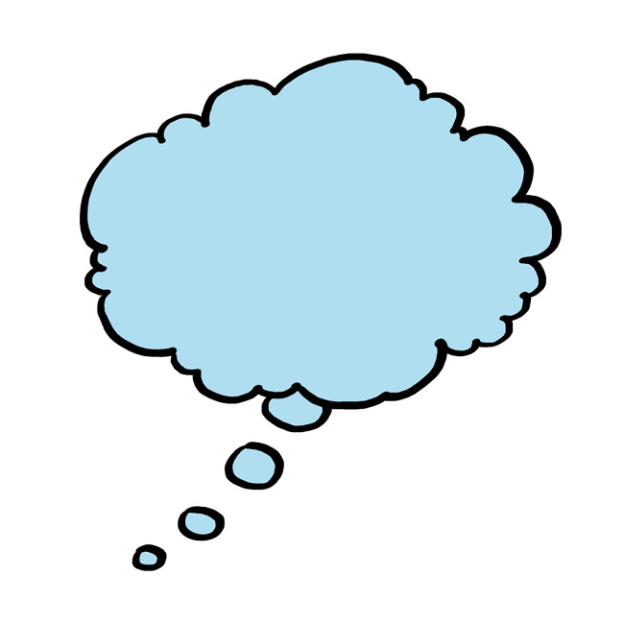 Ever attended an event or meeting where you didn’t know anyone? A board game helps everyone to become involved, talking and interacting, with each other – who doesn’t feel more comfortable, relaxed and happy to chat after playing a game together? We learn through play when we are children, and it works just as well for adults too. Educational board games are a great way to learn from others, share experiences, ideas and gather new knowledge from the game itself. Plus you’ll be having fun – what’s not to love? Playing board games helps children learn to share, take turns, be a gracious loser and, for shyer children, to come out of their shell more. As adults, we continue to refine our social skills through games. They promote collaboration, communication, and teamwork, useful skills for us all! If you like the idea of improving your communication skills using a board game, The Communication Game is your ideal tool. Effective communication allows everyone the opportunity to express themselves clearly. In health and social care, effective communication is vital to ensure individuals receive safe and appropriate care. For many people who have communication support needs, accessing health and social care and other public services is a challenge. We partnered with Talking Mats who worked with us and a group of people with communication support needs to develop and test The Communication Game. Initial development was funded by NHS Education For Scotland, and The Communication Game was born as an engaging way to help us all to reflect and develop our own and our teams communication, and thus improve the quality and safety of services. 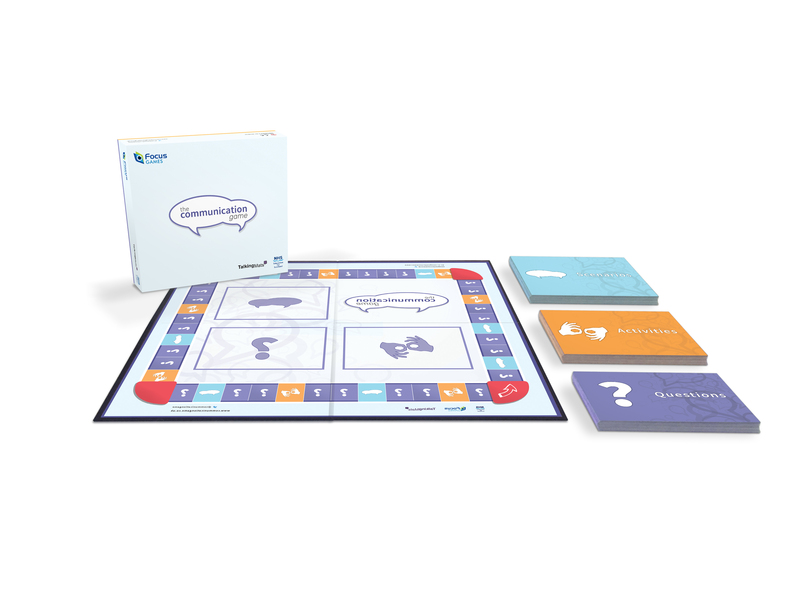 The Communication Game is designed to help anyone working in health and social care to improve how they communicate, particularly with people who have communication support needs. Playing the game will help you think about the barriers to effective communication; and things you can do to ensure you communicate well with others. It is being used by many groups across the country including allied health professionals, nurses, charities, voluntary and community groups, nursing/care home staff and students studying nursing, speech and language therapy, social care and more. 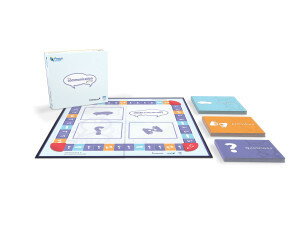 The Communication Game uses questions to help build knowledge, scenarios to help you see the issues people face when communicating, and activities to help you practise different ways of communicating. It is a 1-hour training session for up to 10 people that you can use over, and over again with different groups. This entry was posted in Blog, Careers, Communication difficulties, Learning disability, Mental Health, Talking Mats principles, Training and tagged Communication difficulties, game, Learning Disability, Mental Health, Talking Mats, Training on January 10, 2019 by Lois Cameron.